b>Dear Guest, Namaste & Welcome!! 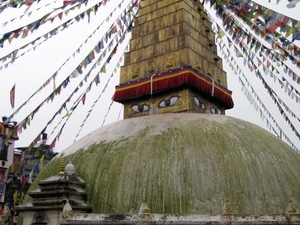 We cordially welcome to Welcome Nepal Treks and Tours Pvt. Ltd. We would like to introduce Welcome Nepal Travel Agency /Nepal Tour Agency as one of the leading Travel, Tour companies in Nepal. 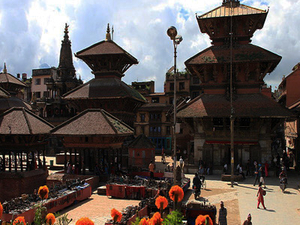 Welcome Nepal Treks & Tours is a well-known government licensed Travel Tours company in Nepal. It is comprised of a team of professionals that have many years of experience in the tourism sector and who are trained to look after your entire travel/Tours needs. We are active and recognized Tours and Travels Agency by Government of Nepal, Ministry of Culture, Tourism and Civil Aviation. Welcome Nepal Tours and Travel is Government registered Tours and Travels agency of Nepal with affiliated Nepal Tourism Board, Government of Nepal, Nepal Tours and Travels Agents Association and etc. We are environmentally conscious & committed to tours in a way that does no harm to the local environment. Nepal Travel Agency /Nepal Tour Agency was established by a group of dedicated, young and experienced trekking mountaineering / Expeditions trekking guides and tour leaders. It is our Mission to provide you superior service at an affordable price. Let us design your holiday with your special interests and needs in mind, whether those interests are in trekking, mountain climbing, wild life safari, river rafting, bird watching, historical places of Nepal, or a tour of Tibet and Bhutan. Our goal is to provide a life time experience for our customer. Let us make your time in Nepal an experience you will never forget. Nepal Travel Agency /Nepal Tour Agency we will guide you to explore the beauty of Nepal from the top of world’s highest mountain till the lowlands of Terai. We heartily welcome all of you to join us for a memorable & wonderful adventure. We carefully plan together with you and supply you with all information necessary for your safety, comfort, and enjoyment. Our goal is to fulfill your dreams! At Nepal Travels, we are here to serve you! 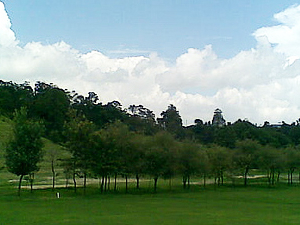 Our motto is "Where there is greenery, there is peace and happiness”. Online booking are always available. Welcome Nepal Travel Tour Company always welcome to any Travel Agency, Tour agencies, Adventure Operator and travel related persons to work jointly in this field. b>Welcome Nepal Treks and Tours Pvt. Ltd.